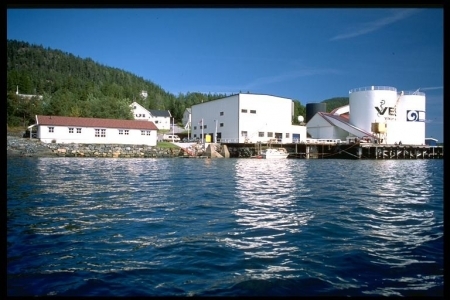 VESO Vikan is the world leading laboratory for disease trials in Atlantic salmon, Salmo salar L. and has its own hatchery for production of Atlantic salmon with known susceptibility to infectious diseases. The facility is built to conduct clinical trials and other experiments with infectious diseases under stringent quarantine conditions, without discharge of infectious material to the aquatic environment. The facility can provide a full range of water qualities with respect to salinity, temperature and pH, and thus has the capacity to hold, maintain and manipulate a wide range of fresh water and marine species. Several challenge models are available for Atlantic salmon, Cod, Sea Bass, Rainbow trout, etc. Our scientific staff has in depth experience in handling, management and care of fish in all stages operating according to OECD`s principles of Good Laboratory Practice. Living, working and conference buildings are located at the facility. VESO Vikan is the world leading laboratory for disease trials in Atlantic salmon. Tests involving a whole range of other aquatic species are also conducted. VESO Vikan has a broad experience in bacterial and viral pathogens as well as parasites. VESO Vikan comprises an experimental trials unit capable of conducting challenge trails with fish pathogens, a hatchery for supply of SPF experimental fish and a marine net pen unit for field trials. The facility comprises 200 tanks of various sizes. The laboratory has experimental challenge models for several bacterial agents, viruses and parasites. A well equipped dry laboratory is available. We have a trained staff to give support to be able to conduct the experiments according to the project plan. The project will cover visit to the facility at start of project, sampling and termination. Accommodation are free at the facility, food will be covered by Norwegian governmental rates and food must be prepared by the scientist at the accommodation. Travel costs are limited to approx 1000 euro per project. All project plans must be approved according to Norwegian legislation for the use of animals (fish) for research purposes. The project plans will be evaluated local or in the National Animal Research Authority (NARA). T. Kanellos, I.D. Sylvester, F. D’Mello, C.R. Howard, A, Mackie, P.F. Dixon, K-C. Chang, A. Ramstad, P.J. Midtlyng, P.H. Russell (2006) DNA vaccination can protect Cyprinus Carpio against spring viraemia of carp virus. Vaccine 24, 4927-4933. Ramstad A. and P.J. Midtlyng (2008) Strong genetic influence on IPN vaccination -and challenge trials in Atlantic salmon (Salmo salar L.) Journal of Fish Diseases. 31, 567-578 13.